Having everything you need, in one place, can save you time. Finding the right first aid kit means having everything you need at your fingertips. 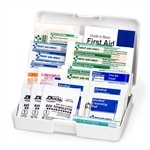 At Concord Health Supply, we only carry first aid kits that will help you get the job done. 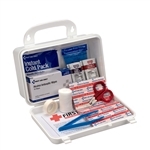 Select a first aid kit to see pictures, detailed information, and a list of supplies in that kit.